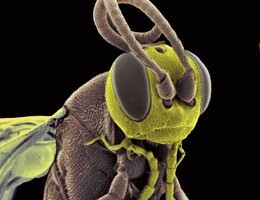 Peering through a homemade instrument – toy-like by today’s standards – the Dutch tradesman Antony van Leeuwenhoek (1632-1723) first observed a dizzying menagerie of lifeforms, invisible to the naked eye. Since then, scientists have steadily refined the field of microscopy, achieving spectacular results at ever-tinier scales. At Arizona State University’s Biodesign Institute, Nongjian (NJ) Tao has been designing advanced microscopy methods with the ambitious aim of capturing molecular-scale phenomena in living systems. The new techniques, which combine multiple imaging modalities, are poised to revolutionize the study of biology and the development of new drugs. Tao is the recipient of a new $1.6 million grant from the Gordon and Betty Moore Foundation for research titled, “Label-free imaging and tracking of single protein-protein interactions.” The three-year project calls for the design of a novel microscopy system based in part on a phenomenon known as plasmonic resonance. The new microscope will allow researchers to not only observe a specimen’s form at a remarkably minute scale, but also investigate chemical reactions and charge-related properties of living systems. 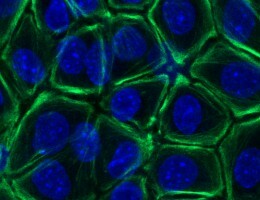 The microscopy techniques employed will permit these molecular spectacles to be imaged with greatly enhanced contrast and unprecedented temporal resolution. Tao directs Biodesign’s Center for Bioelectronics and Biosensors. In previous research, the group exploited plasmonic imaging to examine single cells, cell organelles, viruses and nanoparticles. The new grant calls for an extension of this work in order to image the dynamics of single protein interactions in living systems – a feat never before accomplished. Proteins are essential components in all life processes and play a central role in the maintenance of health and the onset of disease. A more thorough understanding of their multifarious activities is crucial. Until now however, studying the subtle dynamics of proteins in their native state – including their binding properties – has been beyond the ability of imaging technology. Over the course of the three-year project, the research team will develop a fast and low-noise plasmonic imaging system capable of resolving fine structure, as well as following the transport of sub-cellular features with startling precision, with temporal resolution in the sub-millisecond range. A variety of sophisticated techniques have been applied in order to extend the range and versatility of modern microscopy, from traditional optical methods to scanning probe techniques, opening up previously inaccessible realms. Such methods have succeeded at imaging structures down to the single molecule level, i.e., fractions of a nanometer – an enormous achievement. 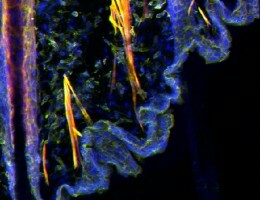 These techniques have been invaluable for the advance of biological research and medical diagnostics, however some critical tasks have remained out of reach. 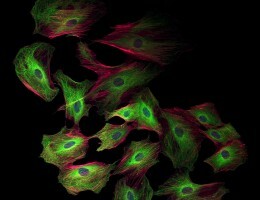 One of these is the direct imaging of single molecules within living systems – for example, a live cell. 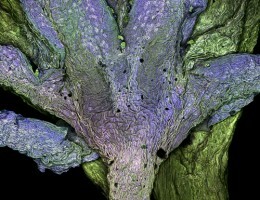 Optical microscopy methods, including fluoresce and confocal imaging, have produced stunning images at high resolution. Nevertheless, the resolving power of such instruments has been constrained by the diffraction limit of light, which dictates that spatial resolution is limited to approximately half the wavelength of the incident light used to illuminate the sample. From a practical standpoint this means that conventional optical microscopy cannot resolve features smaller than 200-300 nanometers – too small to visualize subcellular structures, much less, proteins, which are typically less than 10 nanometers. 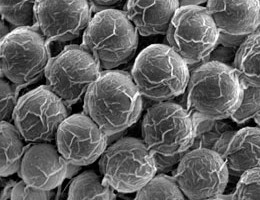 Electron microscopy is one method used to overcome the diffraction limit of light, but the technique requires involved sample preparation and is not suitable for imaging living systems like cells. Electrons cannot penetrate the native aqueous environment of most biological matter and energetic electrons can damage biological samples. On the other hand, scanning probe techniques, like atomic force microscopy, which use a probe to scan a biological sample line by line, and which are applicable in aqueous environments, are not fast enough to capture dynamic processes at the molecular level, which occur at very high speed. Tao’s technique relies on a phenomenon known as surface plasmon resonance. When polarized light strikes a specially prepared surface coated with a thin metallic film, free electrons (or plasma) absorb incident photons and convert them into a surface plasmon wave that propagates like a water wave near the surface of the metal film. When a sample such as a living cell, virus or nanoparticle interacts with the plasmon wave, it disrupts it, thereby causing a measurable change in light reflectivity. These alterations in reflectivity can be converted into an image. Plasmonic imaging in general is limited to samples near the surface of the metal film with an image depth of around 200 nm. While this limitation prevents imaging of whole cell bodies, it is easily capable of imaging proteins, viruses, dendrites of neurons and cell organelles. Using a newly invented technique known as P-EIM (plasmonic electrical impedence imaging), image depth can be significantly increased. P-EIM also improves imaging contrast and importantly, allows charge-related properties of biological samples to be imaged. The P-EIM imaging method relies on the fact that the surface plasmonic signal is sensitively dependent on the surface charge density, which can be measured optically. P-EIM permits very rapid, non-invasive impedance imaging in living systems and unlike normal surface plasmon resonance, can monitor a thick biological sample such as an entire cell body. A related technique, known as P-ECM (plasmonic-based electrochemical current imaging), measures electrochemical current density from an optical signal produced by surface plasmon resonance, thereby allowing precision imaging of electrochemical reactions. 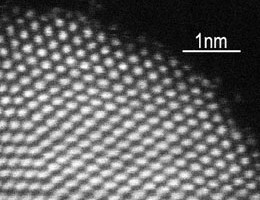 The rapid and non-invasive nature of P-ECM permits the imaging of catalytic reactions in single nanoparticles for the first time. The new microscope system therefore enables the simultaneous imaging of gross morphology, chemical reactions and charge-related properties (including charged molecules or ions) using a single imaging system. The technique provides high spatial resolution, as well as unprecedented temporal resolution capable of imaging very fast molecular phenomena, as surface plasmons can respond to light on femtosecond time scales. 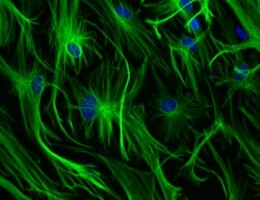 Part of the new grant project will involve tracking the movement of mitochondria in a living cell. Tao stresses that the new microscope’s unrivalled spatial and temporal resolution will help provide new insights into the interactions of motor proteins between mitochondria and microtubules, among many other molecular-scale events. Using new, ultrafast cameras capable of recording over a million frames per second, plasmonic imaging with microsecond time resolution will be possible. 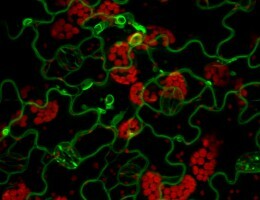 Further, the technique is compatible with conventional bright field and fluorescence imaging. Thus, a single instrument can combine the imaging strengths of conventional and plasmon-based techniques, opening the door to intense investigations of life processes occurring in their native state at the most intimate scale.